Google may be a little late to the party, but it's finally bringing skippable ads to YouTube videos on mobile devices. Skippable ads first launched on YouTube back in 2010, letting users jump right to the video they actually want to watch after five seconds of an ad to at least see what product it's hocking. Google now says that nearly 65 percent of all YouTube ads can be skipped, and so it's time to bring the TrueView feature to mobile users. "Giving viewers choice over ads they watch has led to a better, more engaged viewing experience, benefiting the entire YouTube community of users, advertisers, and content creators," Google's Phil Farhi said. Google has been experimenting with various means of mobile advertising to accompany videos, ranging from banners and promoted videos to non-skippable in-stream ads. The shift to skippable mobile ads comes right before another big change for YouTube on mobile, as iOS 6 prepares to launch without a pre-installed Youtube app in tow. 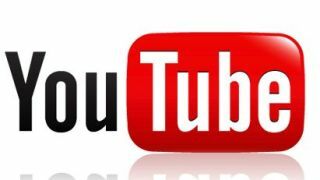 With Google gaining full control over its mobile video presence starting next month, we could be in store for more YouTube mobile optimizations to come.